Variable Power Mods There are 23 products. 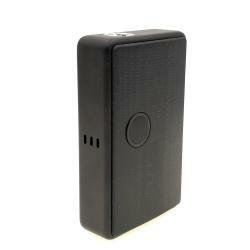 The Tesla Invader 4X is an Variable Voltage Box Mod delivering up to 260w and works with two 18650 batteries. It has a potentiometer to adjust the power from 3 to 8 volts to reach 280W. 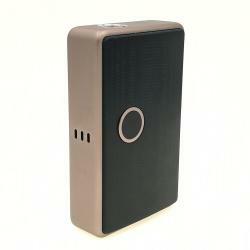 The Billet Box 2019 Rev.4B is an all-in-one varaible power box by Billet Box Vapor, working with a 18650 battery (not included), it is equipped with a DNA60 Big Screen by eVolv, the Billet Box has Boro Faced tank of 5,5ml of capacity. Everything is customizable from a use and aesthetic point of view. The Billet Box Fawkes Rev.4B 2019 is an all-in-one varaible power box by Billet Box Vapor, working with a 18650 battery (not included), it is equipped with a DNA60 Big Screen by eVolv, the Billet Box has Boro Faced tank of 5,5ml of capacity. Everything is customizable from a use and aesthetic point of view. 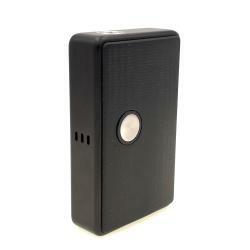 The Billet Box Rat Black Rev.4B 2019 is an all-in-one varaible power box by Billet Box Vapor, working with a 18650 battery (not included), it is equipped with a DNA60 Big Screen by eVolv, the Billet Box has Boro Faced tank of 5,5ml of capacity. Everything is customizable from a use and aesthetic point of view. The Billet Box Dober Rev.4B 2019 is an all-in-one varaible power box by Billet Box Vapor, working with a 18650 battery (not included), it is equipped with a DNA60 Big Screen by eVolv, the Billet Box has Boro Faced tank of 5,5ml of capacity. Everything is customizable from a use and aesthetic point of view. The Sinuous V80 is a compact VW box mod made by Wismec, working with a single 18650 battery (sold separately) it delivers a max power of 80W. The Lucid is a compact VW box mod made by GeekVape, working with a single 18650 battery (sold separately) it delivers a max power of 80W. The iStick Pico X is a compact VW box mod made by Eleaf, working with a single 18650 battery (sold separately) it delivers a max power of 75W. The Tesla WYE II is an regulated mod boasting a maximum power of 215W and working with two 18650 type batteries. The Tesla WYE II is an ultra light model made of PC plastic and ABS. 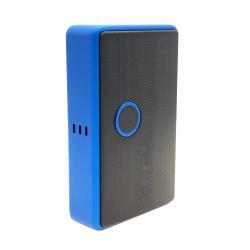 L'Aegis Mini est une box électronique compacte de la marque Geek Vape, elle dispose d'une autonomie de 2200mAh. Particularité des box de la gamme Aegis, elles sont résistantes aux chocs, à l'eau et à la poussière. The Luxe is an VV box manufactured by Vaporesso, working with two 18650 batteries, it delivers a max power of 220W. It is equipped with a large color screen which is more tactile! Real little jewel of technology with exemplary finishes. The Tesla Invader 4 is an Variable Voltage box mod delivering up to 280w and works with two 21700 or 20700 or 18650 rechargeable batteries. 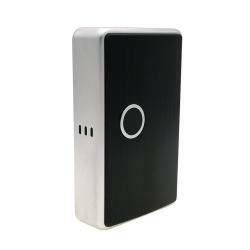 It has a potentiometer to adjust the power from 3 to 8 volts to reach 280W. Armour Pro is a compact variable power box mod by Vaporesso, it offers a maximum power of 100W and works with a battery 21700/20700 or 18650 with an adapter. Equipped with a side switch and a color screen the Armor Pro has everything to please. The Billet Box RPG Rev.4B 2019 is an all-in-one varaible power box by Billet Box Vapor, working with a 18650 battery (not included), it is equipped with a DNA60 Big Screen by eVolv, the Billet Box has Boro Faced tank of 5,5ml of capacity. Everything is customizable from a use and aesthetic point of view. The Billet Box RNB Rev.4B 2019 is an all-in-one varaible power box by Billet Box Vapor, working with a 18650 battery (not included), it is equipped with a DNA60 Big Screen by eVolv, the Billet Box has Boro Faced tank of 5,5ml of capacity. Everything is customizable from a use and aesthetic point of view. 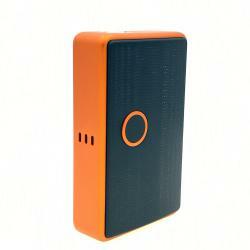 The Billet Box Kürbis Rev.4B 2019 is an all-in-one varaible power box by Billet Box Vapor, working with a 18650 battery (not included), it is equipped with a DNA60 Big Screen by eVolv, the Billet Box has Boro Faced tank of 5,5ml of capacity. Everything is customizable from a use and aesthetic point of view. The Billet Box Unicorn Poo Rev.4B 2019 is an all-in-one varaible power box by Billet Box Vapor, working with a 18650 battery (not included), it is equipped with a DNA60 Big Screen by eVolv, the Billet Box has Boro Faced tank of 5,5ml of capacity. Everything is customizable from a use and aesthetic point of view.